Looking for an HVAC system that can cool and heat your house? Dynamic Air & Heating sells heat pump systems that provide climate control throughout the year from a single unit. We carry HVAC systems from the most-trusted brands, including American Standard and Ruud. Whether you need professional installation service or repairs, you can count on our experts to complete the job efficiently and affordably. 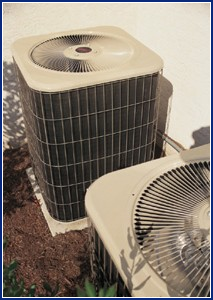 A heat pump operates on the principle of heat transfer. It provides heating or cooling by extracting warmth from the air indoors or outside and moving it outdoors or inside your home. This is an excellent option to heat your house if you do not have access to gas heat because it is more energy efficient than electric heating systems. Searching for a qualified technician for Houston heat pump repair? Our skilled technicians at Dynamic Air & Heating are experienced diagnosing and repairing heat pump systems. We'll run a series of advanced diagnostics to pinpoint the problem and fix it right away. Our service trucks are stocked with an array of state-of-the-art tools, equipment and parts, so we're always prepared for any situation. Want to learn more about alternative heating and cooling options in Houston? Call Dynamic Air & Heating today to consult with a professional or schedule a same-day appointment. We're proud to serve customers throughout the Houston metropolitan area, including the cities of Jersey Village, Katy, Mission Bend, Cinco Ranch, Sugar Land, Cypress, Tomball, Spring and Missouri City.